Well you can count the jets–there were almost 1,500. And we can learn lessons too. 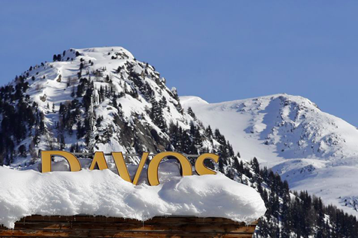 There were some interesting themes from Davos’ press coverage. Many of these themes will need to be considered by public administrators in directing and shaping future public policy. Sir David Attenborough’s reminder to a packed Davos auditorium that, “Every breath we take, every mouthful of food we eat, comes from the natural world. If we damage the natural world, we damage ourselves,” was the most direct statement about the very real risks we face by not addressing global climate change. In interviewing Attenborough, Prince William, the Duke of Cambridge, brought out the connection between environmental protection and economic success and the growing importance of the environment to business leaders. A World Economic Forum survey of business leaders put environmental concerns and global warming highest on their list of risks facing the world. The top risk by likelihood was extreme weather, while failure by governments to limit the magnitude of climate change was in second place. Growing distrust of institutions and more populist policies. With interest rates still at historically low levels, financial assets have increased in value faster than normal in the last decade. Those lucky enough to already have financial assets have benefited. Those without look on and wonder how, and why, they have missed out. Not only is there distrust in the economic system, but there is increasingly distrust in liberal democratic systems of government too. According to the Edelman Trust Barometer, governments are now the least trusted institution in the world. The same 2018 Lowy Institute Poll mentioned earlier reported that only slightly less than half of Australians aged under 45 agreed that, “Democracy is preferable to any other kind of government.” One must wonder if those surveyed would prefer a more authoritarian form of government. If so, is that due to the perceived inability of today’s democratic governments to address the issues that are important to citizens? With these challenges, what must we learn and how must we act? Equality for all before the law. Tolerance of diverse or dissenting views. Address the real and present concerns of citizens, communities and business. Fully consider the interconnected nature of this wicked policy dilemma because when it comes to global climate change, all things are interconnected. Being the repository of institutional knowledge and public policy capacity, collected and curated over time. Engaging broadly and seeking out diverse stakeholder views to support inclusive, respectful, and rational debate about the public policy challenges we face. Making the public policy development process more transparent and more clearly focused on evidence and expertise.